Cape Town-based trio, Matthew Field (vocals and guitar), Robin Brink (drums) and Ross Dorkin (bass) deliver a unique sound that effortlessly owns mainstream South African pop. 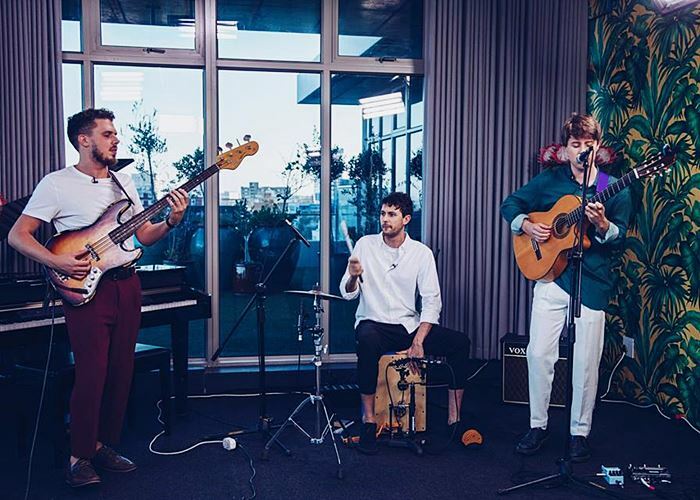 Beatenberg has broken radio chart records and won numerous awards as a result, including a sweep of the South African Music Awards including Album of the Year, Duo or Group of the Year, Newcomer of the Year, Best Pop Album and four awards for the riveting single “Pluto (Remember You)”. We were lucky enough to catch up with them before their new tour kicked off and were treated to some mellow tunes to get us in the best mood for the rest of our Monday. Here they are performing “Camera"